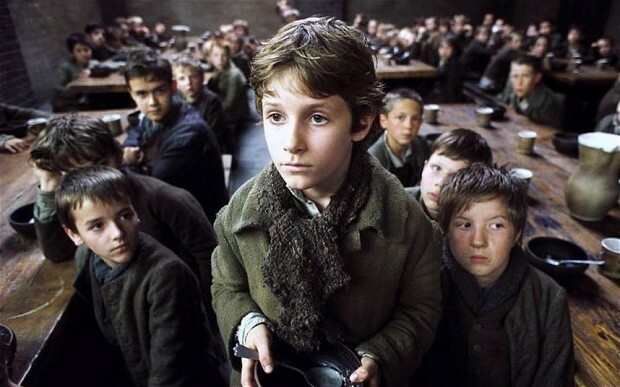 The above is a famous quote from the Charles Dickens’ book ‘Oliver Twist’. This book was the second book that Dickens had published in instalments. For those of you who have read it or have watched the film you will probably have worked out that Dickens wrote the book to highlight the flaws that Victorian England had and that polite people ignored. 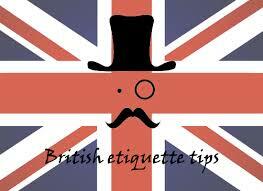 Next week marks the beginning of ‘Etiquette Week’ in the US. This is a week that takes into account etiquette and protocol in all areas of American life—from business to international protocol. This week will attempt to influence Americans to act with courtesy, civility, kindness, respect and manners, which is something that should be practiced on a daily basis. It is customary to visit people at a pre-arranged time and day. However, if someone tells you to drop in at any time, you can do so as long as it is not in the middle of the night. If you turn up unannounced in the middle of the night, this would be seen as inappropriate and inconsiderate on your behalf. In Britain the handshake is the common form of greeting. When you meet people it is normal to shake hands. A firm handshake is the norm; there are no issues. The usual formal greeting is ’How do you do?’ and a firm handshake. However, in Britain it is not unusual to embrace or kiss the other person, but this is more customary between friends. The British might seem a bit serious at first but after a while they will relax as you get to know each other. Just like in most cultures, during birthday and Christmas celebrations, it is common for the British to exchange gifts between family members and close friends. The gifts need not be expensive, but it should usually demonstrate an attempt to find something that is related to the recipient’s interests. 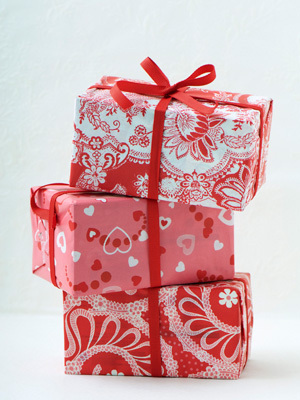 Note that Gifts are opened when received – if you do not want this to be the case let the recipient know! This is a big one! Queuing is a unique part of the British culture. People in Britain usually form a queue or a single line in a shop, or when they want to buy a ticket with the intention of allowing those who arrived first to be served first (this is where we get the first come, first served policy). If you are caught ‘pushing in’ then you may hear grunts and moans as this will most certainly annoy quite a few people. 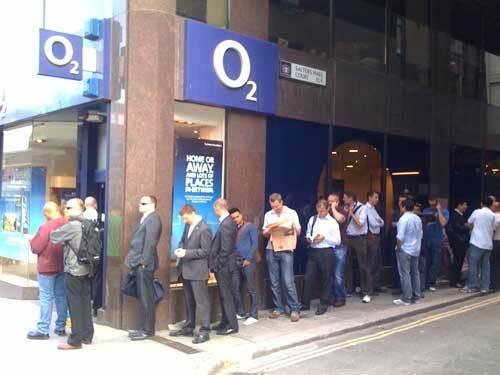 So as a piece of advice – always respect the queue! The Brits are punctual. The Brits consider it rude and impolite if you turn up late for an appointment. Punctuality is very important especially in business situations. It can be seen as an inside joke for your close ones but if you’re meeting someone for the first time, this is not good practise. The people you are meeting will be on time. Make sure you give someone a call even if you are running late so that they can be merciful. If you have been delayed or cannot make the appointment, then make sure to let the person know as soon as you can otherwise they will most probably not be happy and will refuse to see you again. If invited to a person’s house for dinner, ensure you are punctual. Do not sit down at once when you arrive. The host may show you to a particular seat. 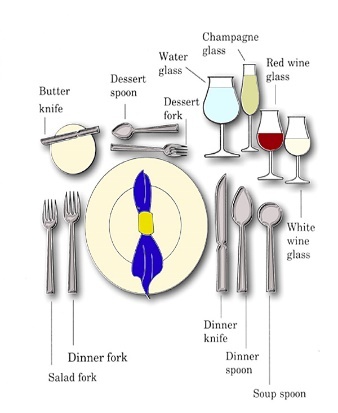 Table manners are Continental, the fork is held in the left hand and the knife in the right while eating. It is important that you do not rest your elbows on the table, which would be considered very rude. When you finish eating, lay your knife and fork parallel across the right side of your plate – do not cross them because it is seen as bad luck. If you have not finished eating, rest your knife and fork on each side of the plate. Tipping is not expected in the UK but is much appreciated. It is not necessary to tip at all in taxis, but it is customary to round up to the nearest pound on metered taxi journeys. Some restaurants add on an ‘optional’ service charge to bills, of typically 10% or 12.5%. 9) How to Behave in Public Places. It is common knowledge that it is impolite to stare at people in public places, especially if they are eating. Spitting in the street is considered to be very bad mannered. If you need to clean out your nose, use a handkerchief not your finger. Most members of the British public will happily provide you with directions if you approach and ask them politely. 10) Thank you/ I’m Sorry/ Please. The UK is known as the land of ‘please’ and ‘thank you’ because the Brits say thank you a lot, even for minor things. If you accidentally bump into someone, say ‘sorry’. They probably will too, even if it was your fault! This is a habit and can be seen as very amusing by an ‘outsider’. Sometimes the Brits say ‘cheers’ instead of thank you. You may hear ‘cheers’ said instead of ‘good bye’, what they are really saying is ‘thanks and bye’. By worldchoiceeducation in Uncategorized on May 8, 2015 .